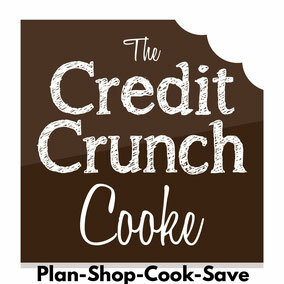 This is great for a special occasion, whether it's a romantic dinner for two or or entertaining friends! Salmon can be expensive so I usually buy frozen fillets as they tend to be kinder to the budget, or keep your eyes open for special offers! In a small bowl or jug mix together the soy, honey, oil, garlic & black pepper. 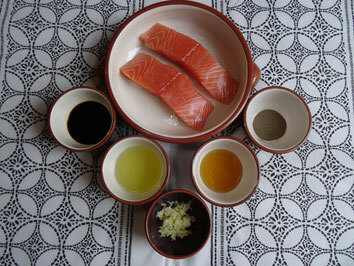 Place the salmon fillets in a shallow dish & pour over the mixture. Cover the dish with cling film & place in the fridge to marinate for 30 minutes. Heat the oven to 180C/Gas 4/160 Fan. 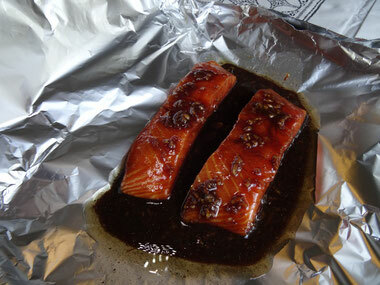 Remove the salmon from the fridge, wrap it in foil & place on a baking tray. Bake for 20 minutes or until the salmon is cooked through. While the salmon is in the oven get the rice going. Place the rice, coconut milk, water & salt in a pan, cover, bring to the boil & cook until the rice is tender & all the liquid has gone. 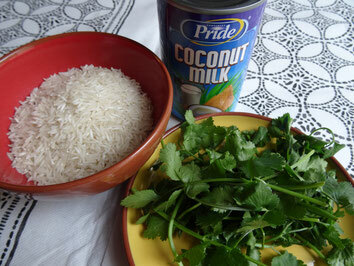 Fluff the rice with a fork, add the coriander & mix well. 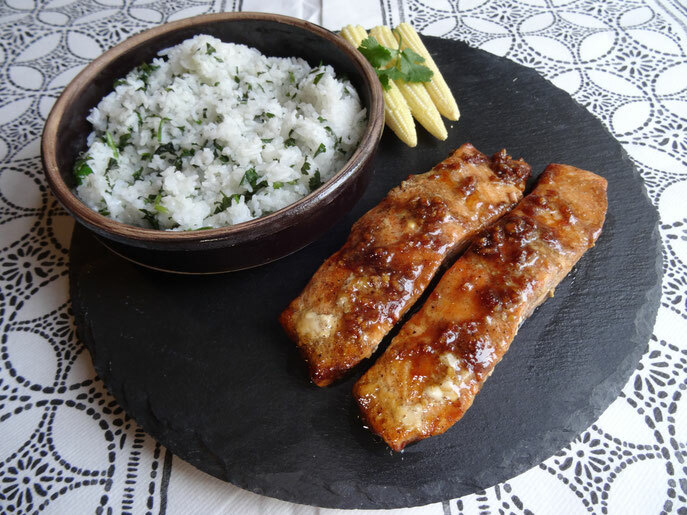 Serve the salmon & rice together, you could add some baby sweetcorn or sugar snap peas if you like.